Currently Working as a Director, I.T. at Anand Agricultural University, Anand since 1st April 2011. 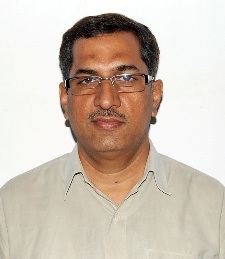 Worked as Assistant Professor for MCA Department in LDRP Institute of Technology & Research, Gandhinagar from 16th August 2007 to 30th September 2008 . Worked as Assistant Professor for MCA Department in U.V. Patel College of Engineering, Ganpat University, Kherva – Mehsana from 18th June 2007 to 14thAugust 2007. Worked as a Lecturer (under the Self-Finance scheme) at Department of Computer Science, Saurashtra University – Rajkot from 16th May 2005 to 15th June 2007. 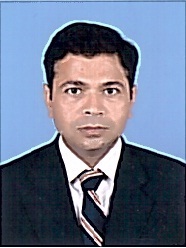 Worked as a Research Assistant (under the Self-Finance scheme) at Department of Computer Science, Saurashtra University – Rajkot from 25th September 2002 to 15th May 2005. Working as a Director, I.T., AAU, Anand. Overall development/maintenance of the Online Admissions for SAUs of Gujarat. Recognized Ph.D. Supervisor for Computer Science/Application in Gujarat Technological University ,Ahmedabad. Recognized Ph.D. 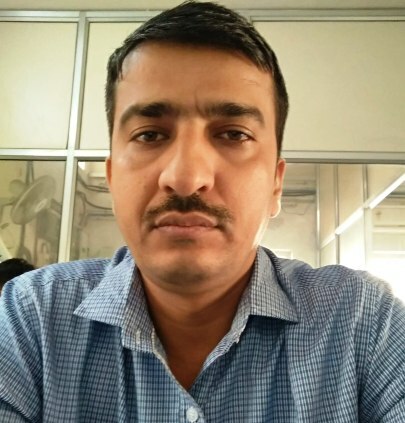 Supervisor for Computer Science in Mevar University Rajasthan. Recognized Ph.D. Supervisor for Computer Science/Application in RK University, Rajkot. Recognized Ph.D. Supervisor for Computer Science/Application in Charotar University, Changa. Working as honorary Consultant - Information Technology for Amreli District Cooperative Bank, Amreli. Editorial Board member for International Journal of Emerging Technologies and Applications in Engineering, Technology & Sciences (ISSN: 0974-3588). Member of AGRESCO – Social Science subcommittee of AAU. Specialized Subject : .Net Technologies, Web Development, DBMS, Operating System and Data structures. B. Sc. (Computer Science), PGDCA, MCA, Pursuing Ph. D from Rai University. I-Link Infotech Pvt. Ltd., Ahmedabad. Oct 2005 – Oct 2006 Software Engineer, Aurionpro Solutions Ltd., Mumbai. Jun 2005 – Oct 2005 Programmer, Semaphore Infotech Pvt. Ltd., Ahmedabad. Jun 2004 – May 2005 Jr. Software Executive, Kevin Technologies Pvt. Ltd., Ahmedabad. Feb 2002 – May 2004 Group Skill Assistant, Industrial Training Institute, Ahmedabad. Dec 2000 - Oct 2001 Sr. Faculty, NetVision, Ahmedabad. Apr 2000 – Dec 2000 Sr. Faculty, ACT, Ahmedabad. May 1998 – Mar 2000 Sr. Faculty, LCC, Ahmedabad. Jul 1997 – May 1998 Faculty, ZED Point, Anand. 2007 M.C.A., IGNOU, New Delhi. 1993 M.Sc. (Physic) , Sardar Patel University, Anand. 1991 B.Sc. (Physic) , Sardar Patel University, Anand. College of Agricultural Information Technology, A.A.U., Anand . Smt L.B.R.I.I.T. , B.D.Rao College Campus , Khambhat . National Information System on Agricultural Education Network in India, Indian Agricultural Statistics Research Institute, New Delhi . Maintain a different Server & technical work of College of AIT , AAU ,Anand.